What kid doesn’t like chicken nuggets? They are really popular and on the restaurants menu most of the time. Kids just love them! 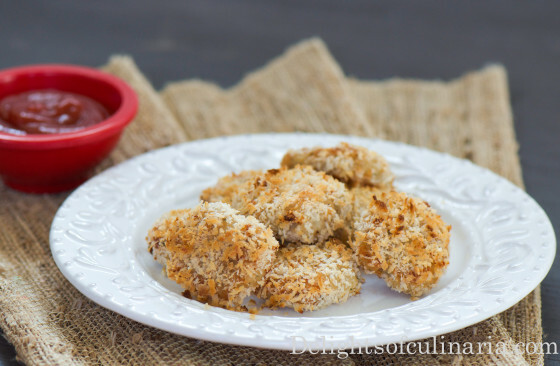 I stopped buying frozen chicken nuggets about three years ago,and tried making homemade ones with different recipes.And… this recipe is a keeper for me. They are perfect and just the way kids like it. And its so funny how they tried to compare them to some of the restaurants and fast food places like chick-fil-a. But,guess what…? They liked these better ! They are surprisingly easy to make and not a lot of ingredients.Less ingredients then store bought box for sure.And all the ingredients will not sound foreign to you. My sister Olga shared this recipe with me from weelicious.com * .They are delicious and your family,especially kids will love them. – I made few adjustments to the recipe. 1 pound chicken breast,cut into chunks. Place chicken breasts in a food processor until chicken is finely chopped. Transfer chicken to a bowl and add garlic salt,onion powder,parmesan cheese,mashed potatoes/oats,salt and pepper. Pour oil in to a small dish. 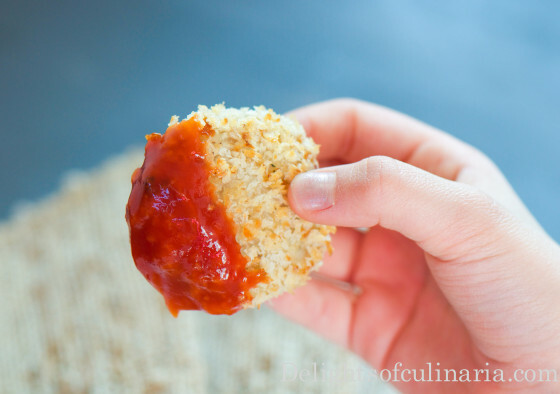 With moistened hands,roll 1 tablespoon of chicken mixture in to a ball and flatten to a “nugget” shape. Dip nugget into oil,and coat with panko crumbs. Arrange on to a lined baking sheet with parchment paper. Bake for 15 minutes.Broil on 500 for 2-3 minutes or until nuggets are golden brown. * To freeze, place nuggets on a sheet tray after this step and freeze for one hour. Place nuggets in labeled freezer bags for up to 3 months. You can serve them with ketchup or honey mustard sauce. With moistened hands,roll 1 tablespoon of chicken mixture in to a ball and flatten to a "nugget" shape. My Pleasure Tanya!give it a try and hope your little one will like it. Glad you guys liked it!thats awesome! Thanks for the website.